If not, pls attach the log in your phone to help us troubleshoot. Worked for me, I can send files directly to external SD again. 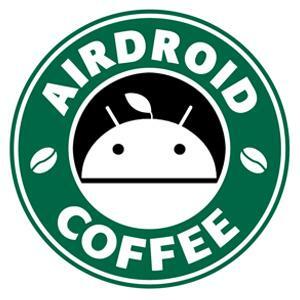 Note: the test version is only for Android 5.0 users and Android 4.4 users who can manage extSD files with AirDroid Web before. Most of the Android 4.4 users can't manage extSD files unless they change the access permission to it in some way. Just installed the test apk you provided and I can upload files to my external sd card again. Thanks a lot! One or two weeks ago Airdroid working fine for me. Drag & Drop into a folder on my ex. sdcard works. then i don´t know what happen. Airdroid give me the message that under Android 4,4 i have limited right. Now i have download an install this test Version. NOW IT WORKS AGAIN !! THANKS A LOT. Only when i access the external sd card folder i got this right permission information, but i can upload all files from my computer again. I have a very similar problem but I rin Lollipop 5.1.1. I can't load folders on the sd card, although I have given permission. I followed the advice on this thread and installed the latest version v3.1.5.2 but it didn't help. Every time I try to upload a folder to the sd card via web.airdroid I get the message "Failed to upload. Network error." Is there a way I can solve this problem? Without being able to move whole folders transferring files would be massively time wasting! Have you selected the wrong extSD path? You may check if this helps: [Help & FAQ] How to Manage Files Saved to External SD Card on Android 5.0+?